One of the greatest gifts my parents gave me is the strong work ethic they taught me while I was growing up. Looking back, I realize how much this benefitted me. I would not be where I am today — in this place with a successful business and blog — if not for what my parents instilled in me from a very young age. 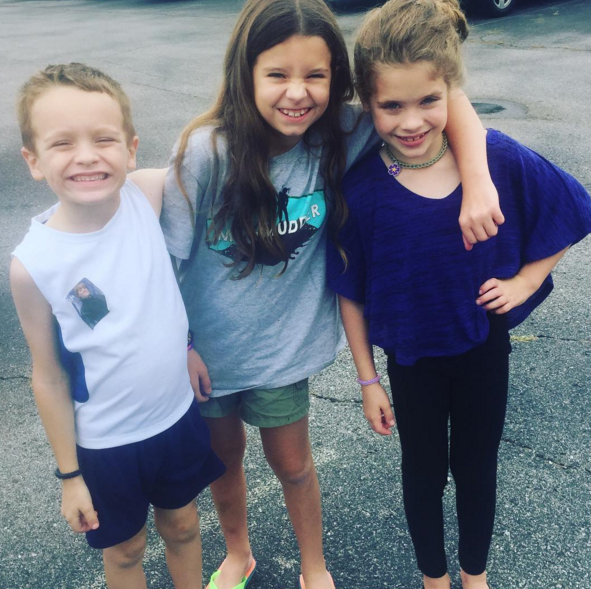 I am always hesitant to share parenting advice, because I know I don’t have it all figured out and still have SO much to learn — especially since all of my children are still pretty young. That being said, I share today from the perspective of how doing chores as a child impacted who I am today. Because of my background, I truly believe that having children do chores is one of the best gifts we can give them. If you want to teach your kids to work and do chores, you can’t just expect them to wake up and know what they’re supposed to do. Mom is the COO of the home, and you have to have a plan so that the kids know what to do. If you want your kids to learn how to work, you are the one who has to teach them. For us, this has looked different over the years in different seasons of our lives. When my kids were younger, they had as many jobs as their age. (So a 2-year-old would have two responsibilities, and so on.) As they’ve gotten older, we’ve switched it up a little. We try to keep things really simple at our house. Right now, we thrive on having separate jurisdictions. Our kids are in charge of the laundry (our mother’s helper comes twice a week and helps with the folding and putting away when she’s here), I’m in charge of the kitchen, main areas of the house, and some of the cooking, and Jesse is in charge of menu planning, grocery shopping, and the rest of the cooking. We all work together on the bigger areas of the house, and then Jesse and I in charge of our bedroom and the kids are in charge of their bedroom. I also find that it helps to keep a clutter-free home. We try to clean up the whole house twice per day as a family — once after breakfast and once before dinner. This doesn’t always happen, depending on our schedule. When I aim for this, though, our house is almost always picked up and doesn’t get out of control. This keeps things from becoming overwhelming. Be sure to not only have a plan, but to also communicate that plan. And remember to keep in mind that your personality and your kids’ personalities will vary, so you have to figure out what works best for you. Not only do you have to teach the plan, but you also have to model it. Our kids are always looking to us as examples. 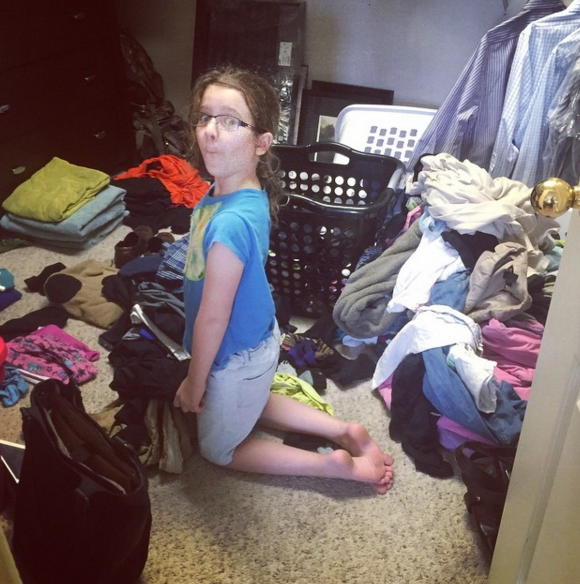 I’ve been convicted of this frequently when I get frustrated with my kids for not cleaning up their rooms, only to walk into my own bedroom and see that it’s messy! I strive to practice cleanliness and organization in my own life, so that my kids see and learn from that model. Kids need to see us exemplifying what we want them to exemplify. As parents, we are responsible for training our children, and training is hard work. I like to think about how Olympic athletes train. It’s day-in, day-out, and very repetitive. It can become frustrating to get into a routine and develop a plan, but it’s worth it in the long run. I remember one year I decided to dedicate time each morning during homeschool hours to train my children how to clean the house and pick up after themselves. It was a lot of hard work, but it was worth the investment of hours spent in training. 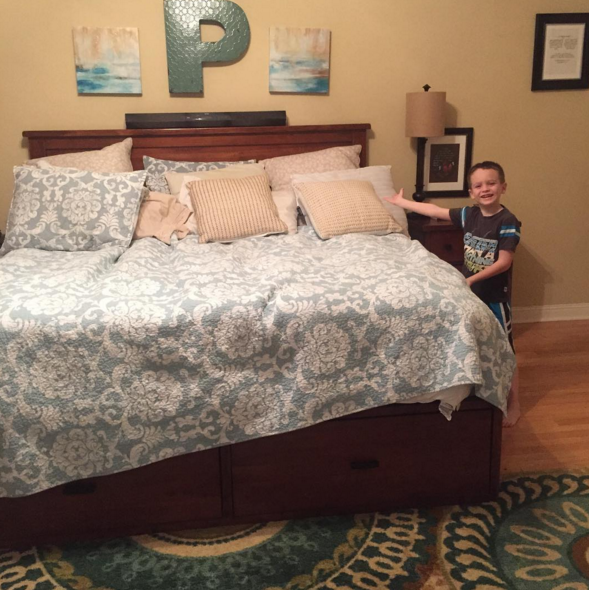 Now I can say, “pick up your room” and the kids know what a clean room is supposed to look like. Also keep in mind that your attitude will make such a difference in how your children approach chores. Your kids will pick up on your attitude. If mom is excited about cleaning, they will be too! If you hate cleaning, they’ll pick up on that. Hint: Sometimes you have to fake it before you make it. Maybe have a cleaning party, turn on some music, set a timer, and have fun with it! Practice always pays off. It’s so nice now for me to be able to ask my kids to do the laundry or clean the bathrooms and they know exactly how to do it on their own. Now, we are working on developing habits so that they will do it without even being asked. Want your kids to love to work? Become their biggest cheerleader! Of course they will need correcting along the way, but it’s so important that children receive words of affirmation. When they are putting forth so much effort, praise them for it. Recognize the effort! Imagine if you worked really hard on something in your job, and you finished it and your boss only pointed out the one thing you did wrong. That would be so discouraging! Praise 10 times more than you point out areas to improve. Really aim to focus on what they’re doing right instead of what they’re doing wrong — especially when they’re young and still learning. All that really matters is that they’re trying and giving it their best shot. You can always work on teaching them to get better, but if you defeat their attitude you will set yourself up for failure because they won’t ever want to do chores. Many people have asked me about allowance and rewards. 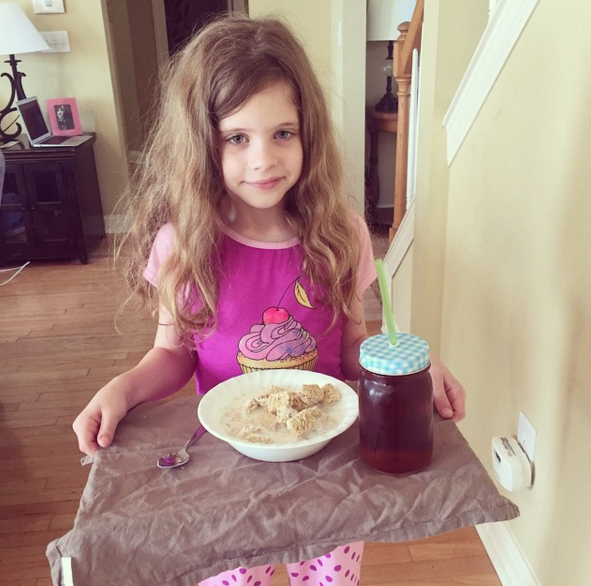 Praise is the reward when it comes to our children’s regular everyday non-paid chores. In our house, we have paid chores and non-paid chores. Our non-paid chores are the jurisdictions I already mentioned. To us, these are life lessons that no matter where you are in life, you will have responsibilities you’ll have to do that you don’t get paid for. We give them opportunities to learn the real-life skill of working, earning money, and paying for things themselves. We think this is an invaluable life lesson to learn how to handle money. I want my kids to learn lessons at the $3 level, so that I can prevent them from making $300 or $3,000 mistakes later on in life. I have found that having paid and non-paid chores gives us opportunities to talk about real-life money lessons and encourage our children to think for themselves. If you need some ideas on age-appropriate chores for kids, you can download our free printable for chore ideas for kids. What works in your house and for your kids? How do you teach your children to have a strong work ethic? No one has it all figured out, but I’d say you have this figured out pretty well. My oldest is five, so we’re just starting to get in a chore routine with him. We have a chore chart with some basic things he can do for now, with the plan to add more as he gets older. I agree that it’s super important to be a good role model and give them praise. The regular chores just to contribute and the extra things to earn money is a great system. Thanks! My son is just about old enough to understand the basics of putting away his toys, so introducing some chores into his life is not too far off. I loved reading about your experiences and lessons learned as a mom of three who’s been there. I think your approach to unpaid and paid chores is brilliant . . . definitely going to borrow that! Thanks for sharing your insight and what works for your family! It also means encouraging their efforts at inconvenient times. My four year old was asking to vacuum the living room rug last night, and vacuuming was not on my agenda. Still, I helped her turn on the vacuum and I moved the coffee table for her, because I don’t want to squash her helpful spirit. I did tell the two year old that she can’t vacuum until she’s three. She insisted that she is three, and I reminded her she is two. It’s so clear from your most recent pictures how different your girls are! I have 3 boys and they are each so different in their interests. My 3 year old loves feeding our dog. She gets mad if I forget and don’t let her! I’m working on establishing a nightly 10 min clean up time and She just started putting her socks and undies away. She is usually really good at bringing me stuff for the baby! Your article has some great insights! Thank you so much for sharing, Brooke! Such great insight and wisdom! We have 8 children and I don’t remember having any trouble with chores. Plus they have grown to have very good work ethics as adults and young adults. I think if the parents, especially mom, has a great work ethic, you will have very little trouble with the children. We rotated chores and I always included myself in the chore rotation. I never gave the children chores that I wasn’t willing to do myself and I never looked at it as a way to get out of doing something I didn’t like. That in itself is a bad work ethic. I doubt there is a formula or tricks. It should just a natural overflow of being a hard worker yourself. Thanks it’s so helpful to hear from parents with older children and parents with adult kids who turned out right! My daughter is 11 and I’m just about to go back to work so will need her help. Your post was helpful and encouraging. I cannot say enough about Accountable Kids! We have used that system for years and the payoffs have been huge. We have to follow through with it, but it is the best system I’ve tried and it also take the “warden” out of this momma. I’m not asking my daughter, “Did you brush your teeth? Did you pick out clothes for tomorrow? Did you blah blah blah? !” 🙂 It is a system that is customizable and it really works for us. Totally agree – with every point! I love your idea of using their age to determine the number of chores. Since my kids are still 5 and under, that seems like it would work well for us. Thanks for sharing!! Such great points! Thank you! You make a great point about not merely having a plan but communicating the plan. My kids are small but they seem to respond better when I talk to them about our plan for the day. I try to make sure I communicate on their level of understanding. Great post! These are great tips. Mine as you know are teenagers now. Since they are now more active outside the home then they once were, we use a daily chore chart. It is basically a clip board with 3 note cards down one side and 3 clips for our “pay slips” down the other. Each morning I look at who will be home and for how long and how much school work they have that day and then assign chores accordingly. I take a brief tour of our home with clipboard in hand assigning tasks as I see things that need to be attended too. Most chores are paid for the much the same reason as you pay your 3 . I have 3 pencil cases with their names on them that hold their “pay slips” until my husband’s pay day and then they can cash out their slips for real cash. My husband and I think this is as close to how they will be paid in the working world as we can get. After all there are few jobs out there where you get paid the minute you finish your work and teenagers are old enough to wait. It has also helped them budget their cash from pay week to pay week. Yes, this is SO true!! It’s amazing the difference that it makes! I printed out check lists and laminated them for each child; they get a wipeable marker to check off each task. Then I modeled/worked with them for a month or so before being able to say “go clean the bathrooms” on their own. You’re on target when you say showing them what we have in mind in regards to the how and end product is key. I love this! Thank you so much for sharing!! Good tips on motivating little ones to help out around the house! Thanks for sharing. In my home we use a printable chore chart (http://www.freebiefindingmom.com/free-printable-chore-charts-kids/) which works really well. My son is still pretty little but he can help out with some small tasks and he loves seeing his progress acknowledge with stickers on the chore chart.